So how does search actually work? When you type a query into Google what happens in the background. Download the hiRes pdf here. 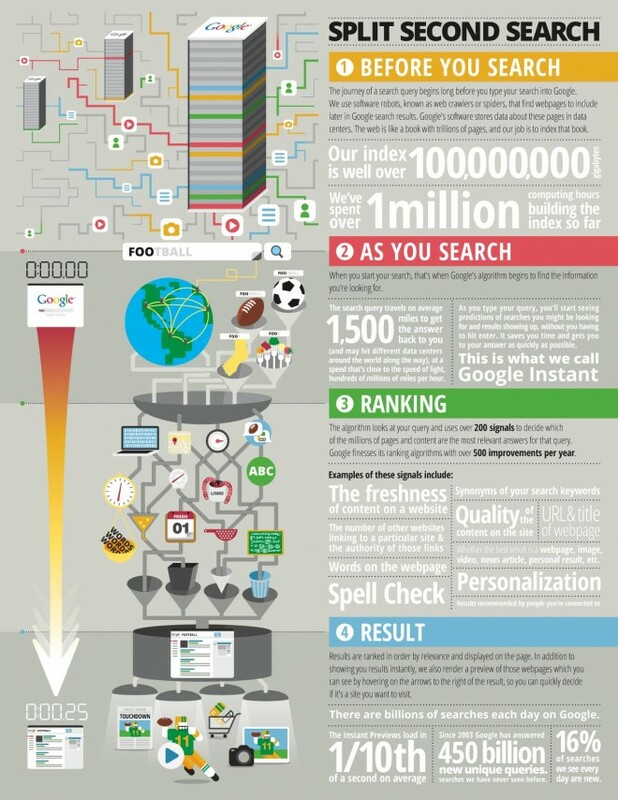 Infographic from Google.